I don't know about you guys but I really like Halloween. Scary movies, haunted houses, candy, and of course, dressing up. I always love seeing everyone's costumes so I thought it'd be fun to create a link up where we can share our costume photos! So let's see what everyone went as! This is just a preview of my costume, hopefully I'll have better pictures tomorrow! To make my costume, I took this dress that I had thrifted (apx. $4) and cut the bottom so that it came to a point. Attached feathers and beads to two pieces of suede for the belt. 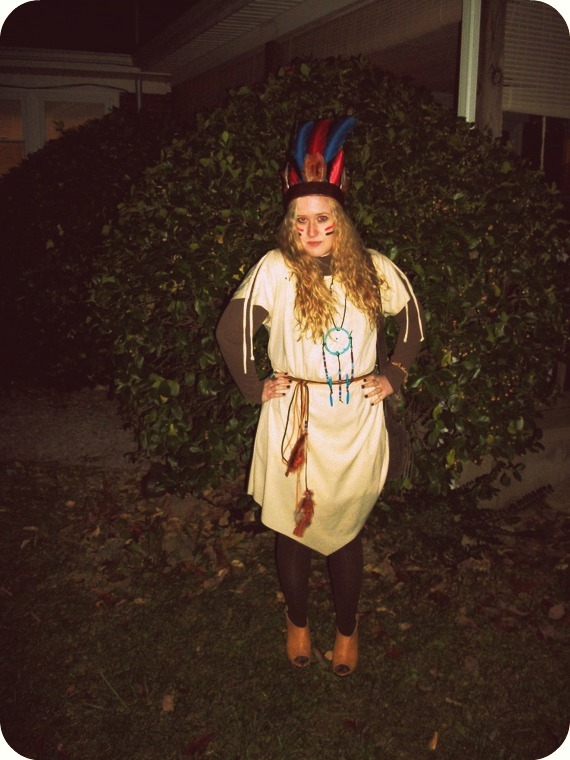 Wrapped yarn around a round piece of plastic, wove thread and beads through it and attached beads to the bottom for the dreamcatcher, and made the headdress from a piece of vinyl, feathers and a headwrap from the dollar tree! Love it! The feather head-dress is my favorite!! Love the native american head gear. Hope you had a good Halloween. very cute, hehe..even though you're in a costume, you still looks so chic. The colorful feathers are lovely! Sorry had to remove what I wrote. Great job on your costume (originally wrote our costume lol). So appropriate for the current trends in fashion right now. great job. I'll enjoy looking at all of these Halloween costumes. 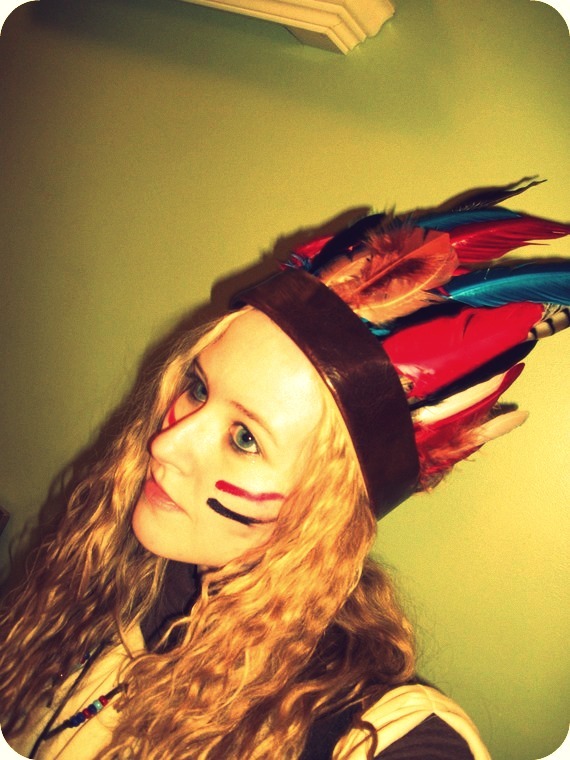 I love that you made this headress yourself-it's beautiful!